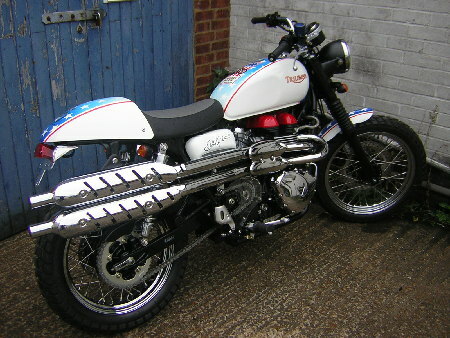 Originally intended as a tribute to the 40th anniversary of Evel Knievel's unforgettable Caesar's Palace jump, U.K. bike dealer Jack Lilley has created a special edition of Triumph's on-and-off-road Scrambler. 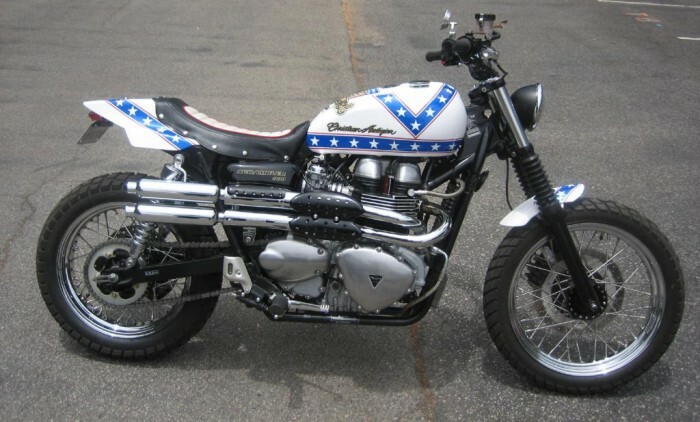 The choice of motorcycle makes sense because that original jump some 40 years ago was done aboard a Triumph T120 Bonneville. Although the project was started before his death, it has taken on new meaning now that the legendary stunt-man has passed and is a tribute to more than just that one jump. 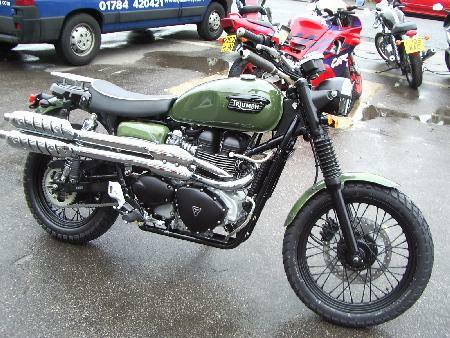 According to the dealership, the bike "is based on a Scrambler and has a superb paint job along with short front mudguard, Thruxton seat and hump, chrome engine cases, red cam cover and other small details." The one-off tribute bike will be sold with a signed picture of the man himself in mid-jump and will command a few thousand extra over the base price of the Scrambler.